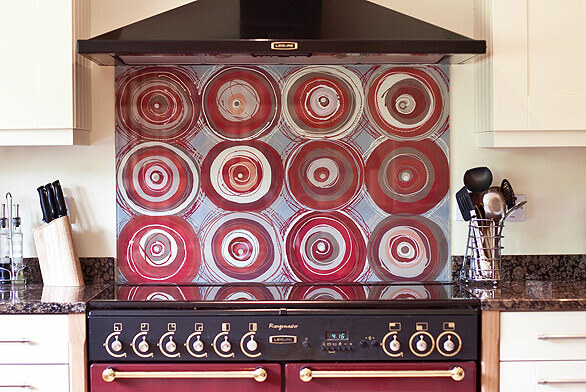 Welcome to Funky Splashbacks, where artist, Jo Omar creates bespoke handpainted glass splashbacks. A beautiful glass splashback will create a special individual feature that will enhance your kitchen or bathroom. Each piece is unique and individually designed and created for you in her studio near Newbury in the United Kingdom. Click here to visit the gallery to see some of the fantastic designs already created.